Are You Afraid of Sci-Fi? My guest this week is KB Shaw, a publisher and writer of science fiction for middle grade and young adult readers. He has very generously agreed to share his process for creating a science fiction world. His books are available in the major online bookstores. You can find links on http://www.iPulpFiction.com. That’s not something a writer of science fiction likes to hear—but I hear it a lot. Are you one of those who are reluctant to read or write sci-fi? You shouldn’t be—no matter what genre you usually like. Writing sci-fi requires the same skills as any other type of story—mystery (Isaac Asimov’s The Caves of Steel), romance (The Time Traveler’s Wife by Audrey Niffenegger), adventure (H. G. Wells’ The Time Machine), Western (The Dark Tower series by Stephen King), or thriller (Michael Crichton’s Andromeda Strain). You still need an interesting plot, characters with whom readers can become involved, and vivid settings—a world the reader can visualize. Most fiction is set in our world, be it the present or the past—it’s a version of the world as it is or was. Now here’s the single difference that makes a story science fiction: The world is different in some way from the time in which it was written. Jules Verne’s 20,000 Leagues Under the Sea is simply an adventure story—a pirate tale of sorts—set in the world of his time, the 1860s. Verne made only one significant change: the pirate ship sails under the surface, not on top. And this one innovation opens up a whole new world for his readers. If the novel were written today, when submarines are commonplace, it would simply be a pirate story. In A Stranger in a Strange Land, Robert Heinlein’s exposé on the human condition, a future Earth is not that much different from ours. Heinlein’s conceit is the introduction of Valentine Michael Smith—the lone survivor of a Mars colony who was raised and nurtured by an alien life form. When he is brought back to Earth, we see ourselves through the eyes of a character who, although human, is indeed a stranger in a strange land. Valentine’s reaction to society and society’s reaction to him reveal a lot about humanity. In 1920, the Czech playwright introduced the term robot in his landmark play R.U.R. (Rossum’s Universal Robots). His world was set in a factory that produced artificial life forms created to be a working/servant class. The drama explores the idea of what makes us human as the robots rebel, demanding that they be re-engineered so they can reproduce—so they can enjoy the ultimate expression of their love for one another. To put it simply, the thing that can transform any genre story into sci-fi is the world the writer builds. Writers can introduce a single element into the world—say, a human who can travel through time—or they can create entirely alien worlds with unique cultures and languages. (“Conversational Klingon” is now available on iTunes and Amazon, among others). If you set Sherlock Holmes’ “The Adventure of the Bruce-Partington Plans” in an alternate Victorian era filled with fantastical steam-powered contraptions, then mash-up with a little Jules Verne, you get P.C. 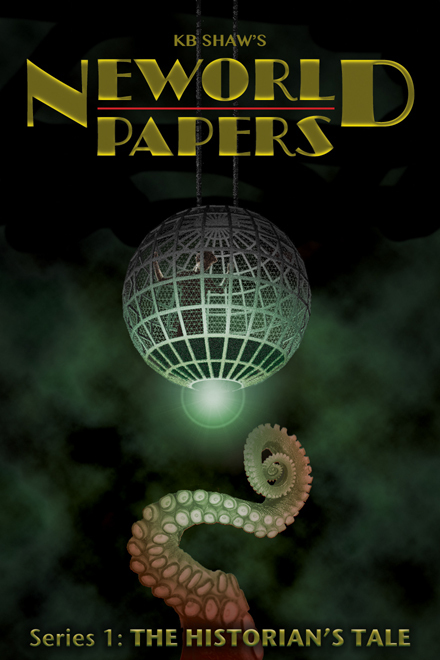 Martin’s Steampunk Holmes: Legacy of the Nautilus. It’s easy to change a mystery into a sci-fi story. Take Sandra Carey Cody’s sleuth, Jennie Connors, for example. Jennie’s life is firmly grounded in the real world of Memphis and the Riverview Manor retirement home. Our conceit will be a futuristic drug… A Riverview resident, who has been on life support in a hospital, ambles into the recreation room as if nothing was wrong—bright and alert after a miraculous recovery. She moves back into the residential wing. Three weeks later, she goes berserk, almost killing Jennie, before dropping stone dead on the floor. The story enters into the realm of science fiction when Jennie discovers that an experimental drug had been secretly administered to the patient. So, would you like to give sci-fi writing a try? Here’s what you do: Take any one of your stories and look at the world you created. Next, find one imaginative way to change that world beyond what exists today. Now let your characters deal with the ramifications of that change. And there you have it: you’ve moved into a land of both shadow and substance, of things and ideas. You’ve just crossed over into… the world of science fiction. So … that’s the process. If you’d like to see an example, I suggest you read The Historian’s Tale, the first book in KB Shaw’s Neworld Papers series. In the end, it’s really just good, old-fashioned storytelling. Thanks, Keith, for letting us in on some of your secrets. And thanks for alerting me to keep those experimental drugs out of Riverview Manor. Nicely said, Keith. As in fantasy, world building is key to a good sci-fi story, and I think minimizing the technology to what’s needed, the best formula. Thanks for the Heinlein nod, the one who enticed to the outer limits. I’ll add Mary Doria’s “The Sparrow” to the list. I love reading Sci-FI stories!! I always have, but I never thought I could write them and stuck to crime fiction. Now… I just might try it. Thanks! !